From comment notification of H. Brooke Paige last night. “Mario Apuzzo and Counsel Press filed our petition with SCOTUS today (Paige v. State of Vermont , et al). I would like to chat and more importantly forward our petition to you for your review. H. Brooke Paige V State of Vermont SCOTUS Writ of Certiorari. From Citizen Wells December 8, 2013. “I received an update from H. Brooke Paige yesterday, December 7, 2013. Mr. Paige filed a motion on November 15, 2013 for a reargument before the Vermont Supreme Court. efforts to advance and expedite the action to a timely conclusion. appellant’s effort to obtain a decision based on the merits of his case. d – To reverse its decision that this case is mootness. From Citizen Wells October 19, 2013. “I received the email from H. Brooke Paige last night. Instead of expediting this case the lower court and VT Supreme Court dragged their feet thus making their decisions after the election. From the Vermont Supreme Court response. Just in from Charles Kerchner, lead plaintiff in Kerchner v Obama. Atty Mario Apuzzo & CDR Charles Kerchner will be on the Conservative Monster Radio Show, hosted by Steve Cooper, Blog Talk Radio, Wed 15 Sep 2010 9 PM EST. They will be discussing the latest status of the Kerchner et al vs Obama & Congress et al lawsuit challenging the constitutional eligibility of Obama to serve as President and Commander in Chief of the military and the election fraud orchestrated by Nancy Pelosi and others in the 2008 presidential election. The case is currently being prepared for filing a Writ of Certiorari to the U.S. Supreme Court. From the Chicago Tribune August 26, 2010. “The judge who presided over Rod Blagojech’s corruption trial says he’ll likely set the retrial for early January and reiterated that he probably won’t allow the former governor to have more than two taxpayer-funded lawyers. Judge James Zagel said today he would be open to allowing more attorneys if they volunteered their time, or allowing attorneys paid for by a benefactor. Zagel said the trial date will likely be the first week of the new year, but not on Jan. 3, just after the New Year’s holiday. The judge said the date revolves around the complications of getting a jury selected. That process lasts six to eight weeks, and begins with a questionnaire on whether prospective panelists can serve on a lengthy trial. If that process started immediately, opening statements would be given in October and jury deliberations could run into the holidays, Zagel said. “We have a certainty that we’re dealing with deliberations in the last half of December, and that’s a bad time to do it – a distracted jury,” Zagel said. “After the hearing, Blagojevich lawyer Sam Adam Sr. disputed reports that he and his animated lawyer son, Sam Adam Jr., had decided not to represent the former governor at a retrial. Adam Sr. said he, his son and the other lawyers representing Blagojevich would discuss the makeup of the legal team for a second trial with their client, but allow him to make the final call on who stays and who goes. Adam Sr. said everything would be on the table, including the possibility of seeking a plea deal, though he acknowledged that wasn’t likely since Blagojevich has said in recent media interviews that he would not do so. Just in from Charles Kerchner, lead plaintiff in Kerchner v Obama and Congress. Attorney Mario Apuzzo’s Legal ‘Response’ to the U.S. 3rd Circuit Court of Appeal Order is Successful. I want to thank everyone who supported and encouraged me in this battle. This includes everyone who expressed their feelings on this matter through blog posts, articles, and comments, and emails. From attorney Mario Apuzzo, June 15, 2010. The U.S. Third Circuit Court of Appeals which sits in Philadelphia has notified me today by letter dated June 15, 2010 that there will not be any oral argument on the Kerchner appeal to that Court. The case will be submitted on the briefs on Tuesday, June 29, 2010. Our presence is therefore not required. The Court also informed me that the Third Circuit Panel that will decide the appeal will be comprised of Circuit Judges Sloviter, Barry, and Hardiman. The court can call for oral argument when it has questions. As we know, the Federal District Court granted Obama’s/Congress’s motion to dismiss the complaint/petition for lack of standing and political question. The Kerchner plaintiffs have appealed that decision to the Third Circuit Court of Appeals. On a motion to dismiss the complaint on its face for lack of standing and political question, both the trial and the appeals courts are supposed to accept the facts alleged in the complaint/petition as true and in a light most favorable to the non-movant. We have alleged and shown that Obama is not and cannot be an Article II “natural born Citizen” because he was born a subject of Great Britain through descent from his British subject/citizen father who was never a U.S. citizen, making Obama born with dual and conflicting allegiances if he was born in the U.S. or with sole allegiance to Great Britain if he was born in Kenya. We have also alleged and shown that Obama has not conclusively proven that he was even born in Hawaii. Obama and Congress have presented no evidence or argument to the Federal District Court or to the Court of Appeals contesting these arguments. The issues of standing and political question are well briefed. We have presented in our briefs how the Kerchner plaintiffs have standing and how the Obama eligibility issue does not present any objectionable political question for the Court. Hence, the Court might not have any questions and so it did not see any need for oral argument. Of course, it is our hope that the U.S. Third Circuit Court of Appeals reverses the decision of the Federal District Court which dismissed the complaint/petition for lack of standing and political question and returns the Kerchner case to the District Court for discovery and trial. 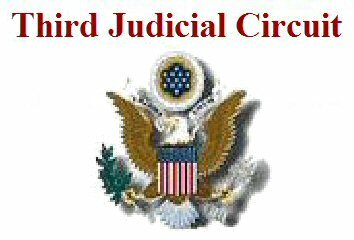 If the Third Circuit Court affirms the District Court, we will then be filing a petition for certiorari with the United States Supreme Court which will have the final word in any event.